How to draw Peeta Mellark from The Hunger Games. 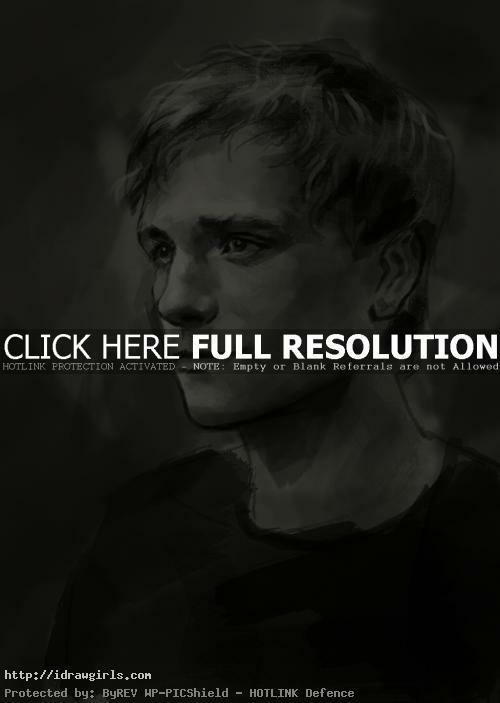 Learn to draw Peeta Mellark from step by step images with instruction. In this tutorial, you will learn to draw Peeta Mellark or as played by acter Josh Hutcherson in the film, The Hunger Games. You will learn to draw basic facial structure from rough sketch to finished black and white shading illustration style. This is one of the characters I draw from the Hunger Games, there will be more characters to come. The Hunger Games is a young adult novel written by Suzanne Collins. It is written in first person and introduces sixteen-year-old Katniss Everdeen, who lives in a post-apocalyptic world in the country of Panem where the countries of North America once existed. Peeta Mellark is one of of the main characters of The Hunger Games trilogy. Peeta is the male tribute from District 12, picked alongside Katniss Everdeen to participate in the 74th annual Hunger Games, a competition that forces children aged 12-18 to fight to the death on live television that everyone is required to watch, to remind the nation of Panem not to rebel against the Capitol. Peeta is a baker’s son, which makes him wealthier and better fed than most people in District 12, the main source of Panem’s coal supply. He has two unnamed older brothers and two parents, all of whom die in the fire bombing of District 12 by the Capitol after a rebellious act during the Quarter Quell. Here is a final drawing of Peeta Mellark. 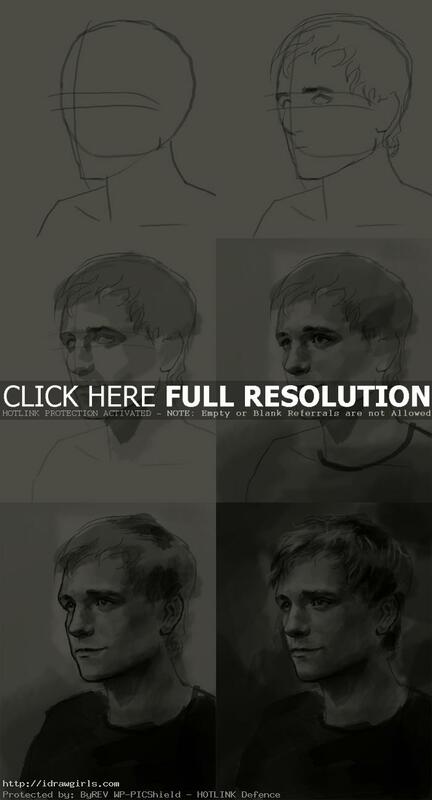 Below are step by step images how to draw Peeta Mellark. Step one, I start with an egg shape drawing, this portrait will be in three quarter view of a face. Step two, imagine a flat plane on front surface of an oval shape, then draw two parallel horizontal lines across the imaginary plane. After that, draw a vertical line to divide the flat plane in half from top to bottom. The space in between the horizontal lines is where eyes will be located at, they are usually right in the middle of the facial height. Step two, I drew both eyes on the level of horizontal lines, nose half way from eyes level to the bottom of his chin, lips half way from the tip of his nose to his chin. Great! Thanks! I’ve got a fiction book response I’ve gotta do, and one of my choices is to draw a picture! Keep drawing, eventually you will get it right.